It is always hard to write about someone you never personally met. I was fortunate enough to hear some stories and saw some of Grandmaster Ho’s Kung Fu through his famous tou dai Mark Ho Sifu. 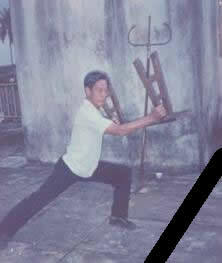 Grandmaster Ho was a genuine Gung Fu practicioner who taught a rare version of the Hung Ga Kyun style in Malaysia. His teaching methods were old school, he was also versed in Dit Da medicine. His passing is another sad loss to the Hung Ga Kyun Mou Lam world. His legacy will live on through Mark Ho Sifu and his students in Malaysia.